Gyoza are dumplings which are popular throughout Japan. My children adore this dish and so I started making it at home when I was living in Japan. 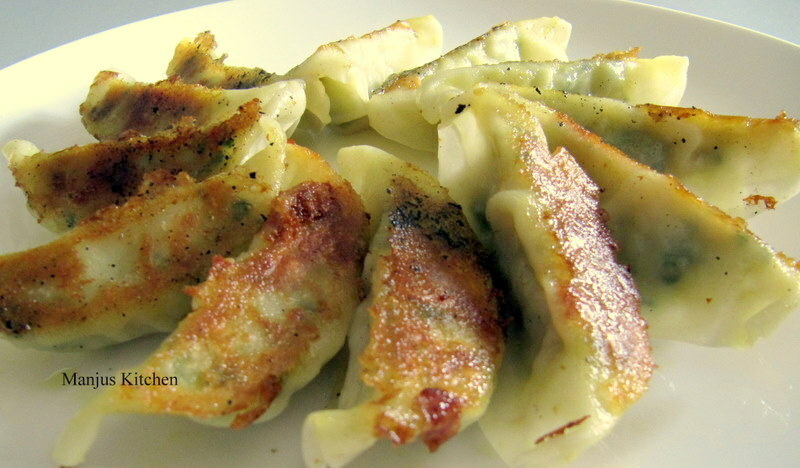 Still a family favourite of all time, we usually fight for the last gyoza every time I serve it…….. I didn’t know gyoza is originally from china until a chinese friend told me. It is called Jiozi in chinese. She taught me how to make the original chinese version some time ago. We made everything from scratch including the cover and then boiled them in soup to get the delicious boiled version. In Nepal it is called Momo and I tried it recently when I visited – they were delicious as well. Gyoza typically consists of a ground meat or vegetable filling wrapped into a thinly rolled piece of dough which is sealed by crimping the edges and then boiled, deep fried or pan fried. My favourite is pan fried (yakki gyoza) in which the dumpling is first pan fried on one side to create a cryspy skin and then hot water is added to the pan and cooked covered until the upper part is steamed and cooked to perfection. 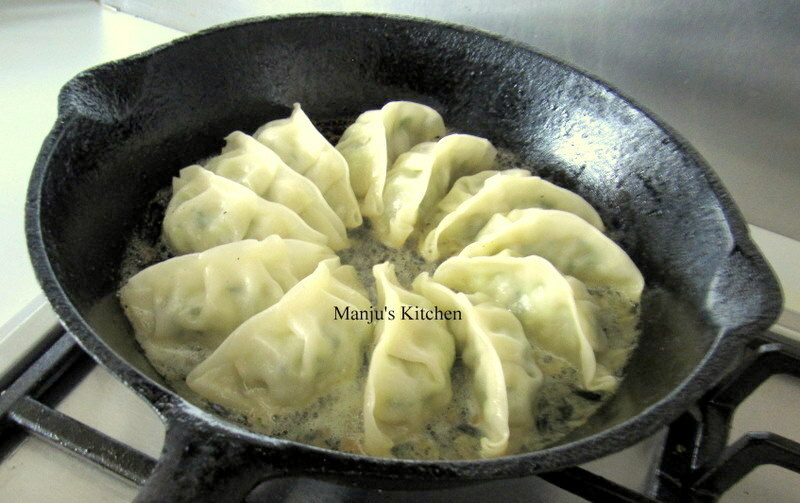 I like to use the ready made gyoza wrappers which are sold in Asian grocery stores for the pan fried version. They are very easy to use and you get a wonderfully thin crispy finish in the end. If you can’t get hold of these ready made wrappers just mix plain wheat flour with a little salt and enough water to make a stiff dough. Make 2cm size balls and roll to make thin rounds of about 10 cm radius thin circles. Mix all the ingredients for filling and keep aside. Keep a spoon full of filling on the middle of the gyoza wrapper and fold over and crimp one side and seal the edges. Pan fry with little oil until the bottom of gyoza is brown and crispy. Add some hot water to the pan and cover and cook till the top part is soft and the meat is cooked through. Serve with soy sauce mixed with vinegar and chilli oil. My pleasure Beena,.. Really sorry for the late reply I was away. What you have said is absolutely right. Gyoza is quite similar to momo but tastes different because of the cooking method…This recipe is a real family favourite in my house hold!